Frederic Mendy had 23 match appearances this season. 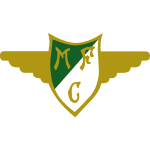 Since Frederic Mendy came into world in 1988, to be more precise September 18th, the forward is four years older than Vitoria Setubal's average player. Standing 1.94 meter high, he is larger, when looking at the average height in his team. 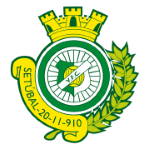 In League Cup (Portugal), Vitoria Setubal is in third position and in Primeira Liga (Portugal) they are in eleventh place. So far this season, Frederic Mendy lost 67% in League Cup and tied 50% of Vitoria Setubal's matches in Primeira Liga. They also managed to win 2 fixtures in a row in Primeira Liga. 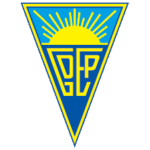 The longest period that he stayed in a team was three years and 4 months in GD Estoril Praia (Portugal) Vitoria Setubal has seven more forwards in their squad, namely Jhonder Cadiz, Zequinha, Hildeberto Pereira, Valdu Te, Alex, Victor Veloso and Allef Rodrigues. In terms of top seasons, the Segunda Liga 14/15 (Portugal) was Frederic Mendy's best one yet, breaking two personal records in terms of not only goals but also appearances. He played 115 matches in total and hindermost appeared 27 days ago. On average, he has participated in 11.5 matches per season. 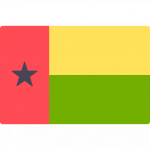 He also plays for Guinea-Bissau. In his footballer career, a total of 16 cards were ascribed to Frederic Mendy. While thus obtaining an average of 1.6 cards per term, he has not even gotten any yet, for now. Prior to joining Vitoria Setubal, he played for Ulsan Hyundai, BG Pathum United FC, CF Uniao Madeira, GD Estoril Praia, Jeju United FC and Moreirense FC. In the recent term, he managed to find the net four times and provided three times additional assists which accounts for 25% of Vitoria Setubal's goals in League Cup 18/19 (Portugal). He scored an average of 0.2 goals and provided 0.1 assists per game so far, marking a improved performance when compared to last season, when he had 0.1 strikes and 0.1 assists per match. The briefest time Frederic Mendy's spent on a team counts six months in BG Pathum United FC (Singapore). Weighing 196.21lb, he measures 33lb more than the average player on Vitoria Setubal. He changed seven clubs throughout his career as professional. After an overall look at his career, we can see that Frederic Mendy was substituted in 34 times but never out. In the active season, he was taken out more often in contrast to 2017/2018 wherein the contrary happened. His jersey displays the number 23.